Catholic United won the Anagram Records Trophy last season and will be in this season’s Final after finally overcoming PFC Victoria London. With the game tied at normal time, the game then went into an extra thirty minutes, with Catholic United prevailing thanks to goals from Dan Trenkel and Pat Kearney. They now meet Clapton Community FC in the Final. With the senior team booking their second final appearance of the season meant that their reserves maybe were under a bit of pressure to reach a final of their own. They duly did that with Franklin Craik, Angelo Louis and James Warder all on the score sheet in their 3-1 Semi-Final win over Herongate Athletic. The other Semi-Final also saw the same score line as Basildon Town beat local rivals Rayleigh Town with Tommy Green, Andrew Wiggins and Alex Shield the marksmen: James Braithwaite scored the Rayleigh reply. Ongar Jubilee are on a quest to complete a triple, having already won the U21 Division and the Essex Junior Trophy, they were then going into Saturday’s Semi-Final Second Leg against Forest Glade with a 5-2 lead. Ongar won the second leg 7-2, meaning a 12-4 aggregate win over all. Their goals included a hat-trick from Aaron Blair, a brace from Joe Lily and an overhead kick from Paul Cox. Forest Glade’s replies were notched by Matt Gauci and Harry Little. The Final on Tuesday 30th April pits Ongar Jubilee against Academy Soccer. Buckhurst Hill needed only a point from their game against Bishop’s Stortford Swifts to be crowned Premier Division Champions. Instead they went on to win in some style, shipping seven past Bishop’s Stortford Swfits without reply which sees them lifing the Premier Division title with five games to spare. Fehinti Falola scored four of the goals; the rest were claimed by Liam Foster, Alfie Harris and Eren Muti. Last season Buckhurst Hill won the Division One title, they could go on to emulate last season’s double as they defend their Essex Premier Cup next Wednesday in the Final. Catholic United provide the opposition, a repeat of last season’s Final, with Catholic United also eyeing up two pieces of silverware as we come to the end of the season. With Buckhurst Hill over the line means that Kelvedon Hatch’s point from their 2-2 draw with Manford Way sees them now homing in on the Runners-Up position, they require one more win from their remaining games. Theo Ola scored both the Kelvedon goals, with Manford Way’s replies coming through Danny Spicer and Joe Lovell, on an afternoon when the Premier Division title was decided. Manford Way will finish in one of the relegation positions. Hutton fell to an early Springfield goal, but they picked themselves up and went on to win the game 4-1. Will Marlowe’s hat-trick being added to by Jack Shaw which closes the campaign for Hutton. Promotion chasing Snaresbrook and Basildon Town found each other too tough to break down, with the game ending goalless. Basildon ‘keeper Nicky Keyes pulled off two point blank saves to keep shut second-placed Snaresbrook out. Basildon Town are fourth, five points behind Snaresbrook with games in hand. With Snaresbrook only getting a point means that they now cannot over take Shenfield AFC. Basildon Town can do so if they win all their remaining games. Shenfield AFC may have something to say about that; the two teams meet next week in what is the title decider. A win or draw for Shenfield will see them crowned, a win for Basildon Town means they can make a late season run to land it themselves. Charlie Heatly and Ashley King were the FC Hamlets scorers in their 2-2 draw with Galleywood. Sam Donn and Paddy Dowse were the Galleywood scorers. FC Hamlets are also able to land up in one of the promotion spots if they win all their remaining games. Their run-in will see them face fellow promotion-chasers Ramsden Scotia, Snaresbrook and Basildon Town before finishing off with May & Baker E.C. Res. The weekend’s results made the Division Two title and promotion issue no clearer as Chingford Athletic’s draw with Runwell Sports means that while Runwell’s title push has come to an end, leaders Toby are now having to sweat it out as Chingford Athletic could land the title if they win their remaining two matches. Will Gleeson scored their goal, Aaron Rix supplied the Runwell one, the title and promotion remaining in the balance as we enter the final weeks of the season. Academy Soccer beat Leigh Town 5-2 with their goals coming via Harry Barham, Jake Jones, Sam Parish, Graham Knight and Luke Jones; Charlie Perry meanwhile kept Leigh’s goal tally down as he saved a penalty. Academy Soccer have one game left to play but can’t now achieve promotion as even winning their final game of the season can only match Laindon Orient who also have a superior goal difference. Wakering Sports also blew promotion as they needed to take all the spoils from their game at Old Southendian Res. Instead they could only gather a point from a goalless draw. Old Southendian Res. lead the table and their final game against third-placed Westhamians will determine who lifts the Division Three title. 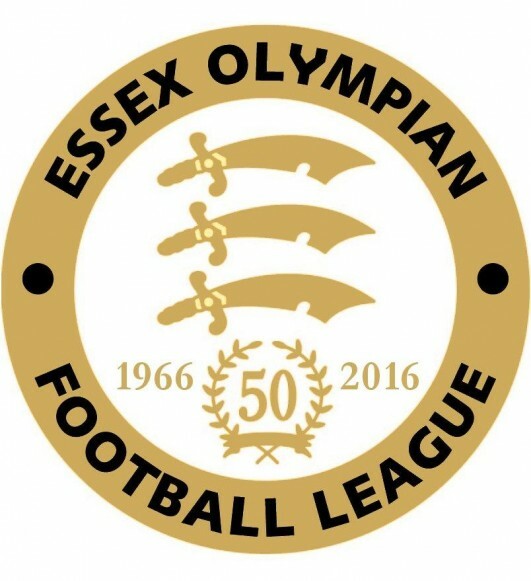 For Old Southendian the double is on, having beaten Westhamians in the Essex Junior Cup, they now look to repeat that feat which would land them a double come the season’s end. Westhamians will be thinking differently of course as a win over Old Southendian will secure the title for themselves. Ongar Town v May & Baker E.C. Res.